After more than 30 years in equine practice, I have decided to retire from general equine dentistry effective October 1, 2015. I am looking forward to spending more time with my wife, and pursuing a number of interests that I have cultivated over the years. I also plan to continue teaching the next generation of equine veterinarians at the University of Pennsylvania. I was concerned about who would provide service to you and your horses when I retired until I got to know Dr. Amelie McAndrews. 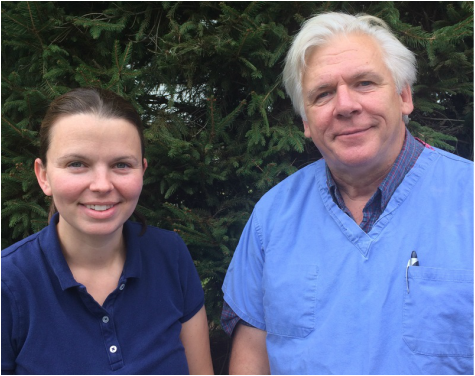 I have transitioned my equine dentistry practice to Dr. McAndrews because she has the same passion for equine dentistry and compassion for her patients as I do. She has the knowledge and skill-set to provide the best possible dental care for your horses. I know this because I have worked closely with her on many cases over the last few years, and can attest to her professionalism, ability and enthusiasm. She has everything she needs, including your horses full dental histories. It has been my pleasure and honor to serve you over the years. I have enjoyed getting to know you and your horses and I wish you and your families all the best in the future.